Hey, Dude what's your side hustle? Looking for New Ways to Increase Enrollment? Try Summer Career Camps for 8th and 9th Graders! The Wisconsin CTE Teacher Shortage: A Solution? Everyone Deserves a Little R & R! Can Anyone Tell Me How to Define an Industry Credential? MT Mark Threeton Ph. D.
Josh Davies is passionate about helping others make a difference in their lives, jobs and com-munity. With the rapid change taking place in every sector of the workforce, a set of skills has emerged as the building blocks for the future. Sometimes called employability skills or career readiness, employers simply call them work ethic. Nearly nine out of 10 hiring managers nationwide say work ethic is their most important factor in hiring. In this engaging presentation, Davies will discuss the latest employer-based research, defining the seven skills of work ethic, to prepare students with the skills essential for the 21st century! Randall Gooch is the Director of Career, Technical and Adult Education for Columbia Public Schools. With more than 20 years of experience in education, he has had a variety of roles including serving as a teacher, counselor and as the director of the Hart Career Center in Mexico, Missouri, before joining Columbia Public Schools. He also served as a Commissioned Army Officer, Operation Manager for Wal-Mart Private Fleet and owned and operated a custom millwork company. He holds a Bachelors of Science in Industrial Technology from Truman State University, a Masters of Education in Counseling from Western Kentucky State University, a Masters of Education in School Administration and an Educational Specialist degree in Educational Leadership from William Woods University. The Association for Career and Technical Education® (ACTE®) is the nation’s largest not-for-profit association committed to the advancement of education that prepares youth and adults for successful careers. ACTE represents a diverse community of career and technical education (CTE) professionals, including educators, administrators, researchers, school counselors, guidance and career development professionals, and others at all levels of education. ACTE is committed to excellence in providing advocacy, public awareness and access to resources, professional development and leadership opportunities. We specialize in emergency preparedness and safety for K-12 schools. Our charter is to make emergency preparedness simple. We strive to help schools readily manage the complexities associated with compliance and other safety initiatives. The purpose of NCLA shall be to provide leadership and advocacy in the promotion and development of career-technical education in the secondary and post secondary school systems of the United States and its territories. Through the mutual encouragement and assistance of the members in matters of organization, local state organizations will provide leadership to carry out the mission and goals of NCLA. The U.S. Army has partnered with ACTE for over 9 years. Together, we aim to bring awareness to the unmatched education, career and leadership opportunities that the U.S. Army provides in CTE fields, while also emphasizing that continued learning is important, regardless of one’s career path. Allerton Hill Consulting is the leading consulting firm that specializes exclusively in the unique communications and marketing needs of school systems and municipalities. Since 1981, we have guided our clients through crisis management, branding, student attraction and retention, long-term community engagement and critical funding campaigns. The power of our platform lies in our unmatched ability to leverage network connections, develop dynamic digital content and deploy on-the-ground implementation teams—helping partners make learning scalable, without ever losing sight of the individual. Together, we’re meeting learners where they are so they can get where they’re going faster. Cutting-edge, interactive digital curriculum aligned to your organization’s unique learning needs. On-the-ground implementation teams make sure you, and your learners, get the most out of our technology. Deep engagement opportunities with key schools, businesses and community leaders magnify your impact story. Comprehensive data reporting highlights unrivaled engagement and impact on the learner-level, locally and nationwide. NOCTI is the largest provider of industry-based credentials and partner industry certifications for career and technical education (CTE) programs across the nation. Whether using assessments to meet Perkins accountability requirements, to guide data-driven instructional improvement, or to assist with teacher evaluation systems, NOCTI provides a credible solution through its validated and reliable technical skill assessment. Realityworks provides comprehensive learning solutions that pair curriculum with hands-on learning aids, student activities and assessment tools to create innovative learning environments. These solutions are used in middle, secondary and post-secondary schools to engage students, teach needed skills and provide career exploration opportunities. We closely partner with educators, administrators and industry leaders to ensure that they have the resources they need to make lessons truly meaningful. Pickup and departs promptly at 8:15 a.m. The school visit will highlight the exciting collaboration with Ford Next Generation Learning Network and showcase one out of 14 Jefferson County Public Schools Academies of Louisville high schools. The session will offer a behind-the-scenes facilities tour, best practice insights into business and community partnerships and discussion with students, faculty and administration. Attendees will learn the process behind building academies, establishing enduring partnerships, creating marketing strategies, as well as developing a unique request for proposal system to ensure district alignment and relevancy. How do the communication principles that enable thousands of thought-leaders to influence from the TED stage apply to your role as a leader? This workshop reveals how the leadership principles and presentation styles found in the most viewed TED Talks can be applied to your role in career and technical education and impact your ability to communicate ideas in a powerful way as you connect with and influence those around you in your district, classrooms and for advocacy. If students are to graduate prepared to work in a global economy, they must have the workforce readiness skills that will allow them to work on international teams and with people from diverse backgrounds. This session will help you return home and train educators on what the skills of global competence are, how they link to CTE career pathways and how to start integrating global content into what is already being taught in CTE classrooms. Get the most out of your Best Practices conference by attending an immersive workshop where you’ll discover CTE’s exclusive competitive advantage, action steps to achieve 21st-century technical and employable skills and benefits of earlier career exploration through Education with Purpose®, offering powerful generational insights. You and your team will join thousands of colleagues nationwide who are using these cutting-edge best practices to change the game for CTE—enrolling, retaining and motivating generations Y and Z like never before. Are you bilingual? Can you speak in education and workforce terminology? Administering CTE requires an array of skills from understanding your employment community, building staff trust and board relationships to assessing the quality of programs and addressing students’ technical and academic preparation. Join us for an engaging discussion on how to improve your CTE administrative skills and maintain strong technical education programs to grow your local economy. This session will be based on the new ACTE publication, CTE Administrative Leadership: 10 Things You Need to Know. Pickup and departs promptly at 1:00 p.m.
FirstBuild is a global co-creation community that harnesses the brainpower of the maker movement to change the way major home appliances are conceived, designed and manufactured. A physical state-of-the-art microfactory on the University of Louisville campus and online forum, FirstBuild speeds products from mind to market and enables customization through small batch production without the costs and risks of traditional mass manufacturing. Mark C. Perna, the founder and President of TFS®, empowers educators and employers to unleash the tremendous potential of today’s young people, both in the classroom and on the job. An expert on generations Y and Z issues, he is a passionate advocate for bridging the generational divides that are contributing to America’s profound skills gap. In his work with educational and business organizations, Perna has pioneered many best practices for achieving more with today’s young people, including the TFS Education with Purpose® philosophy and highly popular Career Tree® strategy, among others, and is cited as the national expert in education enrollment, retention and performance. This session will detail Georgia's journey to strengthening its advisory committee program, lessons learned and how other states and districts can use advisory committees as a tool for program improvement. This session will outline Idaho's evolving approach to connect students with high-quality CTE programs in all parts of the state while maintaining its commitment to providing rewarding and meaningful CTE experiences for all students. Learn why Tech Ready Apprentices for Careers in Kentucky (TRACK model), chosen by the U.S. Department of Education as having one of the best youth apprenticeship models in the country, is effective in creating seamless career pathways for secondary CTE students into registered apprenticeship programs after graduation. The students in today's classrooms will not only witness colonies on the moon and Mars, they will also be the ones taking on these great frontiers and paving the way for humanity. How do we ensure that students are not only equipped for their future reality but that they are also the ones who create it? It comes down to CTE and STEM. Join CTE leaders on their learning journey to understand the "Gig Economy" and how they are preparing millennials to take advantage of a marketplace with exponential growth potential. You will learn how Columbia Area Career Center is developing a framework and curricula and preparing students and teachers with tools to thrive in this new sector. Learn about Great Oaks' one-week summer camps that introduce students to their career programs with the focus on increasing enrollment! In the first year, 34% of the students that attended the camps enrolled for the 11th grade! Hear how this new approach to camps can be the missing link between 8th grade tours and the 10th grade visits. Join education expert Mark C. Perna for a dynamic breakout session to continue deeper into the concepts of his keynote. You'll learn how to spark ongoing student dialogue, demolish stigmas, and reach students, parents, legislators and stakeholders with a compelling message. Join us as we talk about ways school systems can prepare and respond to social media crisis issues before they escalate. This presentation provides an overview of research conducted on professional development needs of CTE teachers along with details on the Borich Needs Assessment Model. Engage in a dialogue as representatives from Kenosha Unified School District, Racine Unified School District and the University of Wisconsin-Stout's Emerging Center for CTE Excellence discuss their collaboration on a program to help address the teacher shortage and training process for experience-based teaching license in the State of Wisconsin. This session will focus on strategies to recruit and retain career-tech instructors. Presenters will share traditional methods of recruitment as well as social-media strategies, collaboration with business partners and utilizing current career-tech instructors to share their story of making the transition from industry to the classroom leader to aid in the recruitment process. Salem-Keizer Public Schools and Mountain West Technical Institute developed a game-changing CTE center through a public-private partnership. Learn how to engage local, regional, and national partners and discover the process used for program selection, facility design and recruitment of staff and students to develop transformative CTE programs with integrated core instruction and a professional student culture. Dr. Albrecht will showcase innovative learning strategies and model business and industry partnerships that can be replicated in your own communities. As President and Chief Executive Officer for Gateway Technical College, he provides academic and workforce solutions for students and employers throughout the region and gives back to his community by serving on boards of the American Association of Community Colleges, National Manufacturing Institute Board and National Center for Occupational Research and Development. Bryan holds bachelor’s, master’s and education specialist degrees from the University of Wisconsin—Stout and a doctorate degree from the University of Minnesota. Exploring the various definitions of an industry-recognized credential can get complicated and confusing! Join this session to discuss the definition of credential, who decides and do they matter. We’ll also take a brief look at the international standards for accreditation and the relationship of a data dictionary to a database schema. The modern workplace is constantly evolving and changing with some jobs going away (switchboard operator) as others are created (app developer). 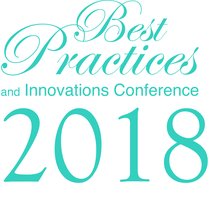 Attendees will learn about: the impact of 30-year waves on the American worker; factors that are driving the 2030 wave; the impact of automation and artificial intelligence on both education and the workplace; strategies for developing the skills that will make job seekers relevant today and in the future. Perkins Reauthorization: Now that Perkins V is law, Alisha Hyslop from ACTE’s public policy department will walk attendees through the changes and discuss implications on the CTE system, including implementation timelines and the new local-needs-assessment requirements. Hyslop will preview ACTE’s Perkins Guide and other resources coming later this fall to assist with understanding the law and moving toward implementation. This presentation will offer guidance on a structured program of implementing and evaluating a registered apprentice program in school divisions nationwide.